Oxford University Press is publishing The Oxford Handbook of the Radical Right in April next year (2018). Edited by Jens Rydrgen, inter alia, it contains a chapter on the radical right in Australia by me and Aurelien Mondon. The resurgence of strong radical right-wing parties and movements constitutes one of the most significant political changes in democratic states during the past several decades, particularly in Europe. The radical right’s comeback has notably attracted interest from political scientists, sociologists, and historians, although the majority of past research focuses on party and electoral politics. 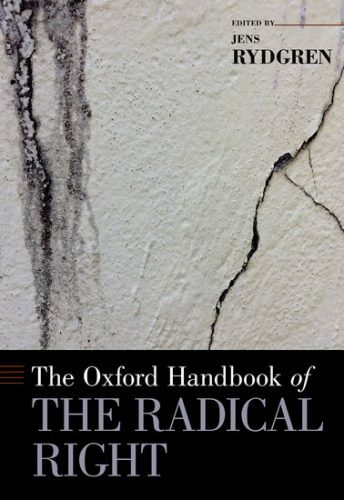 In contrast, The Oxford Handbook of the Radical Right not only covers existing literature, but also shows how the radical right forms movements rather than parties. Editor Jens Rydren has gathered an international cast of contributors to cover concepts and definitions; ideologies and discourses; and a range of contemporary issues such as religion, globalization, gender, and activism. Further, this volume is one of few to provide a number of cases focusing on areas outside of Europe, including Russia, the US, Australia, Israel, and Japan. By integrating various strands of scholarship on the radical right that covers different regions and different research perspectives, this Handbook provides an authoritative and state of the art overview of the topic and will set the agenda for scholarship on the radical right for years to come. 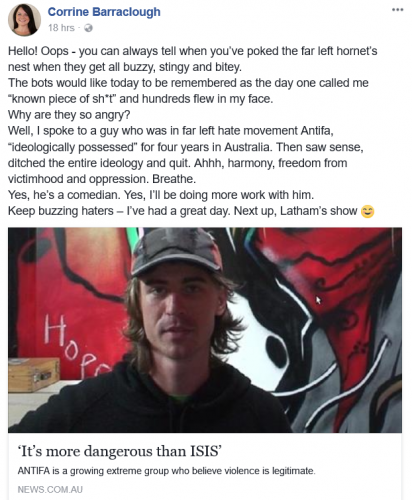 Media Watch done a brief spot on Corrine Barraclough’s batshit interview with Shayne Hunter, the former CEO of ANTIFA AUSTRALIA PTY LTD. See : Confessions of a homegrown ‘terrorist’ (ABC, October 30, 2017). *I’d let Corrine know but she blocked me after I tweeted this reply to her. 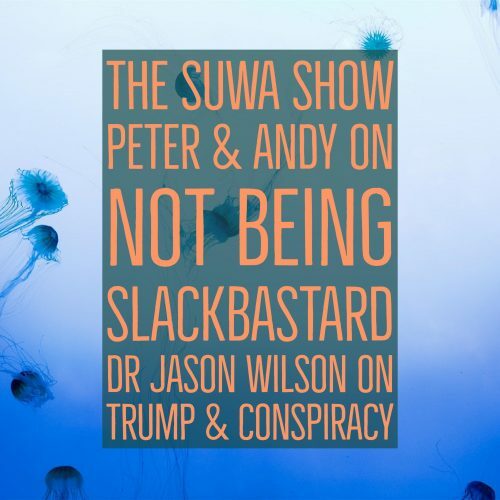 Last week Andy & Pete, along with Jason Wilson, were guests on The SUWA Show. For those of you coming in late, last month A & P were nominated by extremelyonline altright troll David Hilton (‘Moses Apostaticus’) as being little ol’ me. You can listen to our interview here. Oddly enough, while David’s contributions to The Spectator (Australia) were removed by its editor, Rowan Dean, you can still enjoy Corrine Barraclough roaming over much of the same territory here. This entry was posted in Anti-fascism, History, State / Politics, That's Capitalism! and tagged altright, Andy Fleming, Aurelien Mondon, Corrine Barraclough, David Hilton, Jens Rydgren, Media Watch, Moses Apostaticus, Shayne Hunter, The Oxford Handbook of the Radical Right, The Spectator, The SUWA Show. Bookmark the permalink.